HEADING into his first pressure test, Sam Davis was a fish out of water. The 34-year-old private banker from Western Australia was known for his strengths in meat and seafood - his salmon dish launching him into the Top 24. So it was his challenge to lose when Christine Manfield lifted the cloche on her Smoked River Trout dish. "I was dreading it would be pastry or something with a lot of sugar in it so I was pretty happy when it came out," he said. Sam cooked against Amina Elshafei - also a pressure test first-timer - and serial elimination contender Andrew Strickland. "Amina has shown she's a very good cook and the judges are very impressed with the way she goes about things," he said. 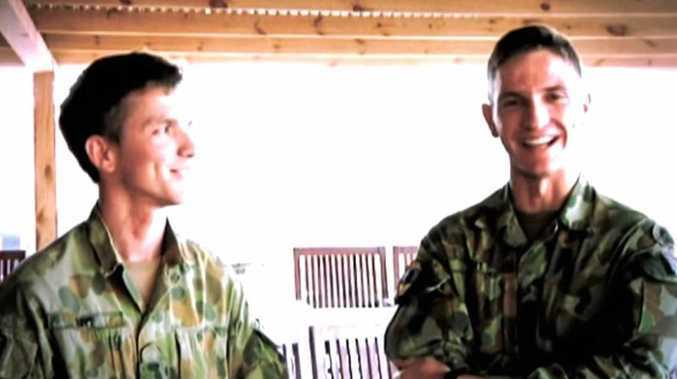 "Andrew's managed to dodge bullets left right and centre so as much as I mistakenly thought he'd be knocked out a couple of times before. He's done pretty well." Throughout the challenge, recipe fan Andrew appeared confident and Amina was flustered and had a tough time filleting and de-boning the trout. Meanwhile Sam was most concerned about flavours - his biggest pressure point. But it wasn't until he over boiled his broth and spilled the contents of his bench that he became undone. "It had to come to an end at some point, but a little disappointed," he said. "I was looking forward to it. It's a funny thing, it's one of the more enjoyable experiences in the kitchen because you do have a recipe and have everything there laid out for you, so you don't get caught up in being too creative. "It's obviously fairly intense but you're there to cook." Sam said his main focus was to be as methodical as possible. "The recipe is pretty well tested by the chef who sets the challenge and it doesn't pay to deviate too much from it," he said. "It's an interesting one because the pressure test is strange in that you can't use as much of your cooking intuition because you've got a recipe that if you do deviate at all you don't know how that may affect the outcome. It's a fun one to do though." "I'm still trying to figure that out because presentation wise, I think I nailed it and I thought I'd done enough to continue on," he said. "I was disappointed to go so early, I wanted to go as far as I possibly could into the top 10. "I loved it, I certainly learnt a lot and met a lot of nice people. I can't fault it. "I'm really glad I did it, I probably wouldn't opt to spend that much time away from home, locked away from friends and family again, that's fairly gruelling and monotonous at times when you're not cooking. The cooking is the fun part. The sitting around, which we did a lot of, is not as much fun." Throughout his five months in the competition, Sam said he broadened his techniques and learnt to be more methodical in his approach. 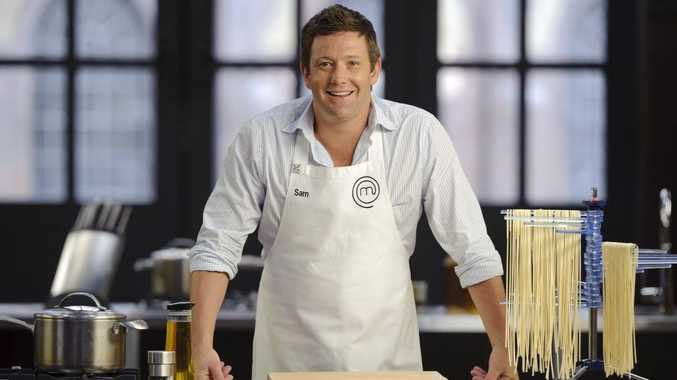 Having watched the show since his departure, Sam tipped Ben Milbourne or one of the front-running females to take out the fourth season. "The judges are very fond of a couple of the girls, Audra and Amina and even Deb, they seem to like what they do," he said. "I'd like to see one of the boys do well - Andy, Beau and Ben. At the moment it looks like Ben, but Andy is getting better and better." While Ben is still figuring out which culinary direction he wants to take, he's heading overseas for some 'research'. "We're getting ready to head off for the Olympics, my girlfriend is competing in the Olympics," he said. "We're planning a trip around Europe after that. There'll be a lot of eating!"